'My critique partner and friend, Sylvia Liu and I started Kidlit411.com in January of 2013. We had a simple idea and the desire to make life a little bit easier for children's writers. (Of course, that included us!) In almost five years, it's grown into a valuable writer's resource and we've received validation that our hard work is paying off! Writer's Digest (in the May/June 2015 issue) listed the site in its most recent list of 101 Best Websites for Writers, and we've continued to win three years in a row! Sylvia and I recently wrote about how we developed this site, at Rate Your Story: Successful Platform Building Doesn't Have to Be About You. Read more about us here. 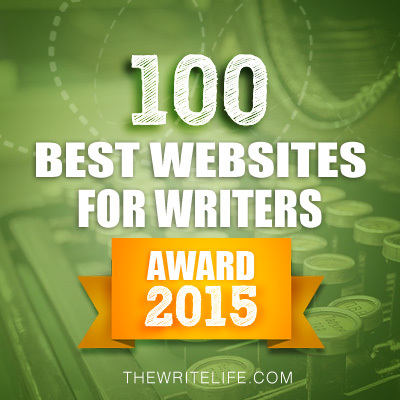 In our five years, we've also been included in the TOP 100 WEBSITES FOR WRITERS 2015 by POSITIVE WRITER and TOP 50 WEBSITES FOR WRITERS by THE WRITE LIFE.